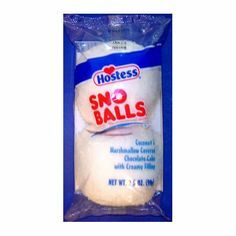 They used to sell these things called snowballs in stores--kind of a gooey cupcake. Most of the time they were pink, then they'd briefly change color at certain times of the year. Thing was, every time they changed color I bought a package. It always worked, green for St. Patrick's Day I'll buy that. Then the company fell on hard times and there weren't any snowballs. They eventually started turning back up in stores slowly, this time all white so they looked like real snowballs. Well, they're at it again. I noticed a bunch of orange ones at the store all decked out for Halloween. Of course I bought some. They have a spell over me. I don't do many movie reviews and I don't even really see very many movies. But I have a tough time resisting westerns. The remake of Magnificent Seven is a tough act to follow. If someone never saw the original in a theater this works. If, like me, you did, I'm not sure there's any point to watching it. There's nothing really wrong with it, but I can't say that it's better than the original. One local and fairly large used book stores has some of my books. They also have kind of a featured science fiction section where the books are displayed face front instead of the usual side view. Well, I couldn't help myself. 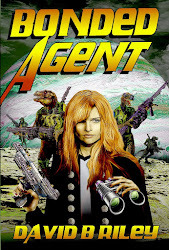 I moved Bonded Agent down to that section to try and help it sell better. Now, keep in mind, this is a used book store. I won't get any royalties on the sale. Still, I just can't help myself. Have I done this at other book sores, say back in Colorado? Maybe. Bad to the bone. Back in Colorado you could get Christmas trees just by paying $10 at the forest service ranger station. Arizona, where I now live, is much more complicated. Supply is tighter than Colorado because so much of the state is a friggin desert. Well, on land where you can harvest them, I've spotted my tree. Now, if I can come up with a way to protect it from other folks until it's time. out of ketchup, oh my! I went to a fast food outlet today to grab some lunch. Well, I noted the hot sauce and ketchup were nowhere to be seen. “Are you out of ketchup?” I asked. “How many you want?” one of the employees asked. Go back two days. I was in line at the grocery store. The guy in front of me was unable to come up with the ninety-five cents he was short. He was buying basics like chicken and orange juice, not beer and cookies. I handed the clerk the money he was short. You’d have thought I donated a kidney the way he acted. He was Mexican and didn’t speak much English. One “gracias” would have sufficed. I usually don’t bring politics into this blog. but there’s something wrong when there’s no discussion at all without congressional candidates who only have eyes for tax cuts for millionaires and getting rid of people’s health care when people are so desperate for food they’re taking ketchup from restaurants. The fellow in the grocery store couldn’t cover an $8.00 bill. For a country that has the wealth this one does, can’t we do better? Apparently not. Now that I'm a home owner and no longer live in an apartment or condo, I've discovered something called yard work. I've also discovered that many plants in Arizona have some really sharp thorns. But my prize possession isn't work gloves to protect my hands--it's a propane weed burner. The thing's incredible. It just fries every weed in minutes without poisons or herbicide and without hurting my bad shoulder. I just love this thing. One of the things that needed to be done now that the HWA has started an Arizona chapter is the creation of a blog or web page. We opted for a blog because they can be set up for free. Although I'm still tweaking it, our blog is now up o the internet. I doubt anybody outside the hwa will find it all that interesting. I don't talk much about my participation in the HWA. It's a professional writers group. We've been trying to start an Arizona chapter. So I drove up to Phoenix for our inaugural meeting Looks promising. Nice bunch of folks with some good ideas on promotions. We'll have blog and stuff shortly. The 50th anniversary has arrived. 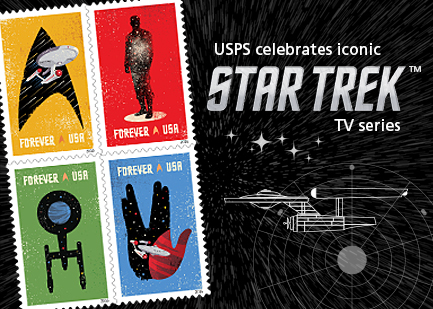 Fifty years of boldly going. I still remember my first episode. Didn't care for it much. It was the first Harry Mudd episode where he was bringing women for miners in some godforsaken hellhole. Problem was I was quite young when Star Trek came out and I didn't really understand it. Over time Star Trek caught on in syndication, then the movies, then next generation, then DS 9 then Voyager then more movies. Back to my first episode. I had never heard of Star Trek. I was a little kid. I had just discovered Batman. Who needed this guy with pointy ears and no apparent super powers? But my mother was watching it. Huh? She was watching Star Trek. I never did figure that out. 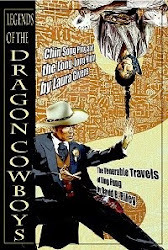 The mere thought of reading a science fiction book would send her into a coma. But she was right there in the living room watching it nonetheless. Over time, meaning by the next week, I do not recall her ever watching it again. And I started watching it and watching it and watching it. So, I don't really know what all Paramount has planned in the way of dancing girls and ice cream and such. But the Postal Service has just released a set of Star Trek commemorative stamps. I've got mine. I planted two ash trees and a myrtle in my back yard two weeks ago. They're still alive and seem to be doing well. We've had so little rain that I was worried about them. We're over 100 every day and no rain in sight. Fortunately, there's this thing called a garden hose. I had an appalling meal at Danny's yesterday. burnt pancakes and raw hash browns coupled with appalling service. Not amused. So I thought I'd take the survey on the receipt. No such luck. The code you have to put in was declared by the computer as not valid. They don't really want feedback. A shame. I would've ripped them big time.